this is awesome. i had never considered using printed spars and welding them. i was thinking of using printed ribs with a balsa (or carbon fiber) for the leading edge/spar. i do have to comment on one thing… “substitutes 3D printed or laser cut components for the fragile balsa strips of yore.” in isolation, thin printed parts are pretty flimsy too. and several times i’ve broken down models to fit them in the waste bin and let me tell you, well-constructed glued balsa frameworks are incredibly strong (for their weight)…i’m not sure but i suspect the finished product is stronger with balsa than with printed plastic. The strength of 3d printed plastics really depends on what type of plastic, the infill percentage, and even print orientation/speed/temperature. For instance something like pla would be rather brittle for large parts, but nylon or even abs would be both stronger and weaker than balsa in certain situations (though at the obvious cost of weight). As with anything, every option has its pros and cons depending on a multitude of variables. Yeah, building rubber band powered planes as a kid really showed me just how strong triangulated frames were. You skipped the monokote era. I remember the plans for a rubber cord airplane were printed in some magazine. The propeller you had to carve yourself from a block of wood. It was supposed to be able to fly and I’m sure in good hands it did. There is an episode of CNC Kitchen in which Stefan builds a 3d printable kit of a model that’s supposed to be able to fly. It did fly, but only down. Do a quick search on youtube for 3d printed rc planes, then re-evaluate your “logics”. multi-ply blade from laser cut parts. I think it’s pretty cool. Lot of parents don’t spend as much quality time learning things with their kids. 3D printers are handy tools for many these days, so why not use it. Your kids will likely be using them soon enough. This was a really good use too, working with balsa is tedious, and requires a lot of care and patience, good deal of time too. Printing the parts, reduces some of the less fun parts of the build. 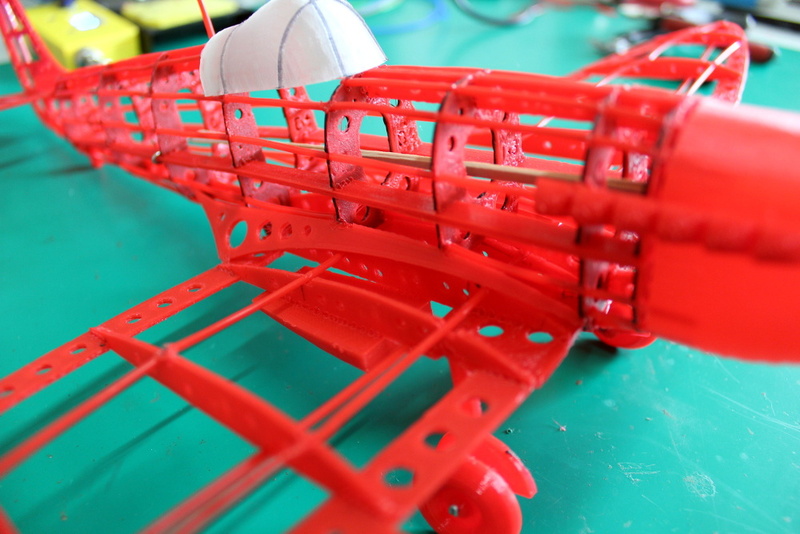 Does this 3D-printed model fly? Now I’m sad about never finishing that P-51 in my youth. Oh yeah, no problem. Just go on this obscure website and pay a ridiculous amount of money. See? Easy to find. I once built a Guillow bi-plane, balsa, glue, tissue, and dope (the only time in my life when I bought “dope” B^). It flew about 20 feet under rubber band power, crashed, and became a static model in my office. Please check out 3DLabprint for amazingly beautiful printed planes from the Czech Republic using a Josef Prusa Printer. These planes cost only a few hundred euros at the most, some as low as 49Euros. You can even buy the .stl files for much less and then print them yourself. Absolutely the future of aeromodelling. These are flying art forms of beauty fully engineered to fit the motors and servos.